Celebrating 50 years in business. Our 50th Year … let the celebrations begin!In May 1967 my Father, Col Crawford, started his own business on a small block of land in Brookvale. 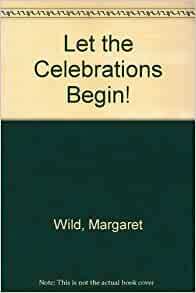 Booktopia has Let the Celebrations Begin!, A Story of Hope for the Liberation by Margaret Wild. Buy a discounted Hardcover of Let the Celebrations Begin! online from Australia's leading online bookstore.